In a recent blog post, Acumium acknowledges the difficulty many companies have with search engine optimization and offers SEO tips to help businesses be more findable online. Search engine optimization is an important part of any business looking to succeed online, but many companies still don’t understand how to implement it correctly. Acumium, an internet-focused firm who helps businesses grow online by providing strategic website consulting, online marketing and full-service website development using their content management and eCommerce platforms, is sharing its search engine optimization knowledge in a new article on the company's blog. "Looking for some proven SEO tips? We're not shy about sharing our knowledge," says Uschan in the post. Acumium helps its clients design their websites in an SEO-friendly fashion in order to rank well in search engines. 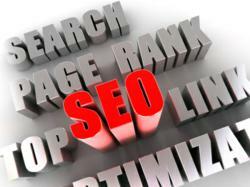 Their methods have helped their clients achieve significant and sustainable increases in search engine rankings. The Search Engine Optimization Best Practices article includes tips for title tags, meta data, website URLs and keyword research, all part of the process Acumium uses to optimize websites. As part of the AcumiumEngage™ online marketing services, Acumium offers search engine optimization services, which include keyword research and strategy, link strategy development and execution, meta data evaluation, on-page SEO (title tags, headings, body content, etc.) and detailed tracking and reporting. Acumium is a technology and marketing firm providing full-service internet solutions to help businesses grow online. They partner with their clients to provide strategic eBusiness consulting and online marketing while developing enterprise and eCommerce websites on their proprietary content management system (CMS) and eCommerce platforms. Acumium is a Google Adwords Certified Partner. Companies utilizing Acumium’s content management system, eCommerce platforms and online marketing services include: ProClip USA (makers of phone and device mounts for cars), Steve Spangler Science (a science education and learning resource for students and teachers) and the Wisconsin Alumni Association (an organization dedicated to University of Wisconsin graduates).